At Atifax Project Solutions we understand small business! 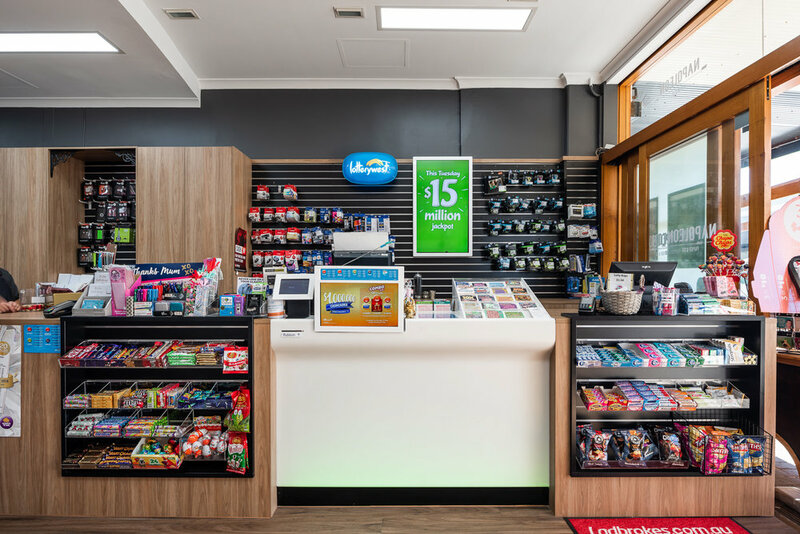 Our company specialises in newsagency and lottery fit outs that help drive foot traffic through your door, at a cost effective price that suits your budget and the quality to match. For many years our company has focused on providing a quality product that meets the requirement of newsagencies at a budget that meets the ever changing industry and economy. Newsagencies and lottery fit outs are a specialist industry that require a specialist shop fitter. At Atifax Project Solutions we believe that we are the experts in the industry that should be trusted with your biggest asset. From design to manufacture we provide personalised expert advice on what works best for all different budgets and shop sizes. We work closely with suppliers and industry partners to provide functional specialist cabinets and displays for your stores. Our manufacturing is all in house at our premises, which aids us in producing high quality, hand crafted joinery that fits perfectly into your retail shop. Managing Director Brenton Fernandes has been working with retailers in Western Australia helping to transform their stores to the new Lotterywest fit out that is being rolled out across the state. Listed as one of the recommended shop fitters for the upgrade Atifax Project Solution has completed a large majority of the fit outs to date. We look forward to working further with retailers in Western Australia, providing them with a personalised service that will bring their Lotterywest vision to life. We are proud supporters of the Australian Lotteries and Newsagent Association. Speak to us about providing a discount for ALNA members.